Here we go again. She just won’t take long walk of irrelevance by herself. She ants to take as many (dead or alive) with her. Two less than mind boggling defeats and she can’t take a hint. Nobody wants you in the White House. Hillary Clinton’s former adviser Mark Penn is warning the public that we should brace ourselves for another run from the power hungry sore loser in 2020. 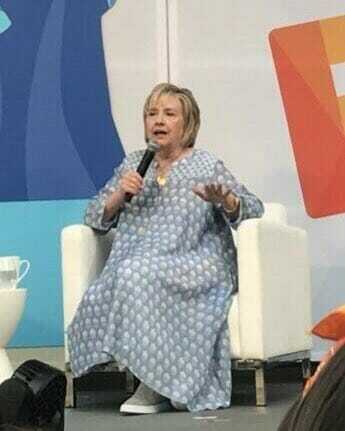 Like a cockroach that just won’t die, or the final boss in a video game that keeps obnoxiously coming back after each defeat — Clinton just won’t go away. Even some of her closest allies want her to give it a rest though. While nobody really wants to hear that woman’s voice ever again — at least the right can recycle all their best memes from 2016.